WBJEEM is going to conducted on 17 May 2016. The test is held for admission to BE/ B.Tech/ B.Pharm/ B.Arch and MBBS/BDS offered in various Universities Colleges of West Bangal and organized by West Bangal Joint Entrance Examination Board (WBJEEB). For appearing in this test, aspirants have to download the admit card. Here you can download WBJEEM Exam Admit card from the direct link given below. 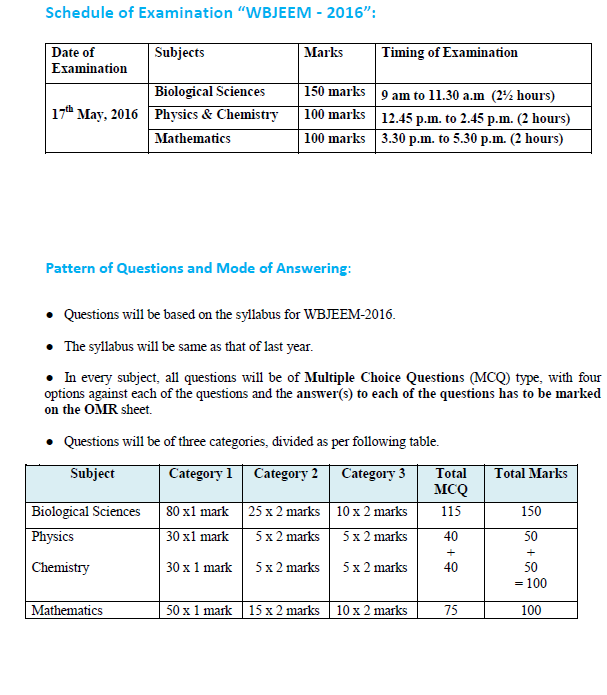 The admit card for WBJEEM 2016 will be available for downloading from May 03, 2016. Applicants can download them from WBJEEM website (after login). WBJEEM is going to conduct written exam on 17 May 2016. The Admit card of WBJEEM 2016 Admit card is going to be available from 03 May 2016. You can download WBJEEM admit card from the official website wbjeeb.nic.in through direct link below. Earlier WBJEEB had completed the process of getting applications for this entrance test. On the basis of merit in this exam, candidates can take admission in UG Courses in their preferred college / institute. 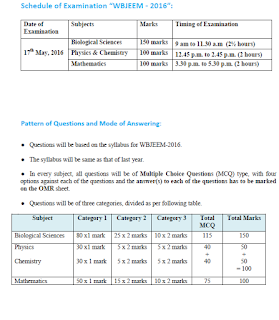 As far as the type of exam is concerned, in every subject, all questions will be of Multiple Choice Questions (MCQ) type, with four options against each of the questions and the answer(s) to each of the questions has to be marked on the OMR sheet. The candidates can download their admit card from WBJEEM website from here. The admit card should be brought at the time of examination. Entering the details will let you download admit card. After submission of details, Their WBJEEM Admit card 2016 will be shown to them. candidates have to take a print of it. Candidates must bring their own pen, pencils (HB), eraser and sharpener. OMR sheets will be provided for answering. Candidates must bring their Admit Card to the examination hall.